The idea is genius. 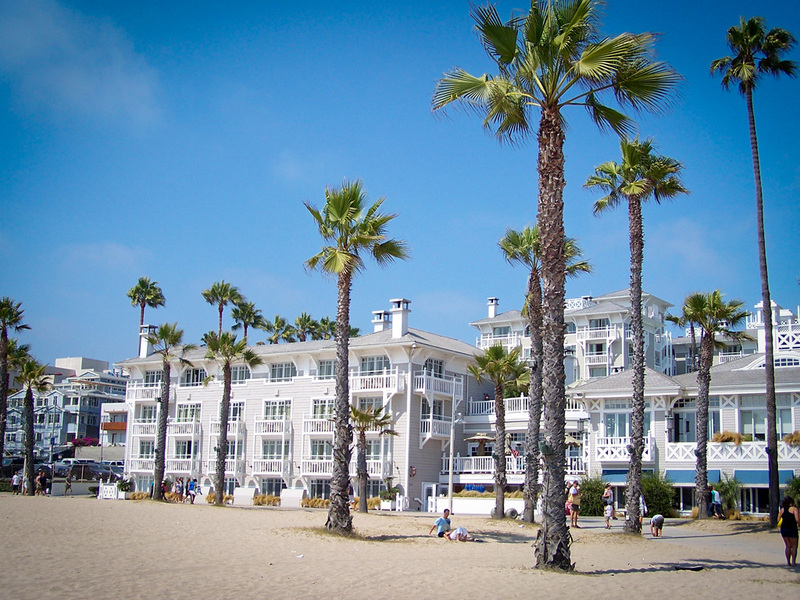 A cement path meandering through the golden sands stretching all the way along the most famous beaches of Los Angeles. This pathway is well known, having appeared in countless movies and television shows. You’ll share the tarmac with bicycle riders, rollerskaters, skateboarders, joggers and walkers. I started off at a bike rental place at the Santa Monica pier. 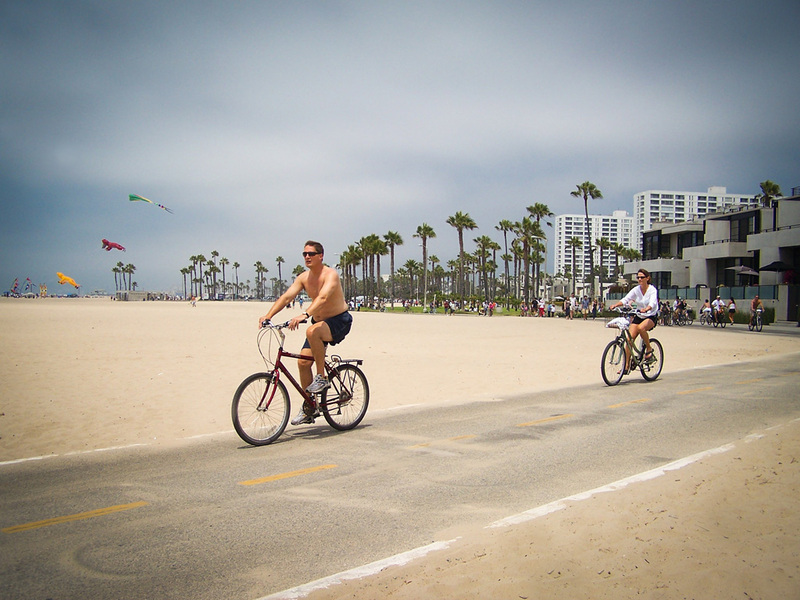 I joined the bike path and headed about 1km (0.6mi) south and stopped at Venice Beach. Venice Beach is a long strip of tacky tourist t-shirt and gift shops selling everything you could imagine. Sharing the shop frontage are street performers, artists and people selling handcrafts. A little further up you’ll find Muscle Beach, it’s a Venice Beach institution. It is an outdoor gym where as the name suggests muscly men come to flex their pecs and biceps. The men love the attention and are egged on by the watching crowd to lift even heavier weights. While you are here, grab yourself a drink and a patch of grass and people watch. You will see unbelievably interesting people here who have come out just to be seen. Be careful as any photo you take of any poser you are likely to be hit up for a money tip or be told where to go. A word of warning, Venice Beach is the home of many outlets embracing California’s medical marijuana laws. I was approached a few times asking if my legs were sore from riding the bike and that I would be eligible for some weed after a mere 10 min doctors consultation! If you are travelling with kids you might want to start thinking of an explanation. The walkway goes for a further 2km (1.2mi) before reaching a dead end as it reaches a Marina inlet. If you look a little further south you’ll get a glimpse of LAX international airport. If you’re wanting to kick on to Marina Del Rey you’ll want to turn off the walkway at the southern end of Venice Beach at the intersection of W Washington Blvd directly opposite the Venice Beach Fishing Pier. It is a main traffic road. The bike lane/shoulder is quite generous and accommodates two people riding side by side. Nearly 1mile (1.6km) up the road just before you see Mildred Ave on your left you will see on your right a bike path. Turn onto this and you have a nice flat run through the Yvonne B Burke Park. It runs adjacent to Admiralty Way which is a road that loops the entire marina. There are many paths you take inside the marina. I took Fiji Way to the Fishermans Village where I stopped for lunch and a look around. 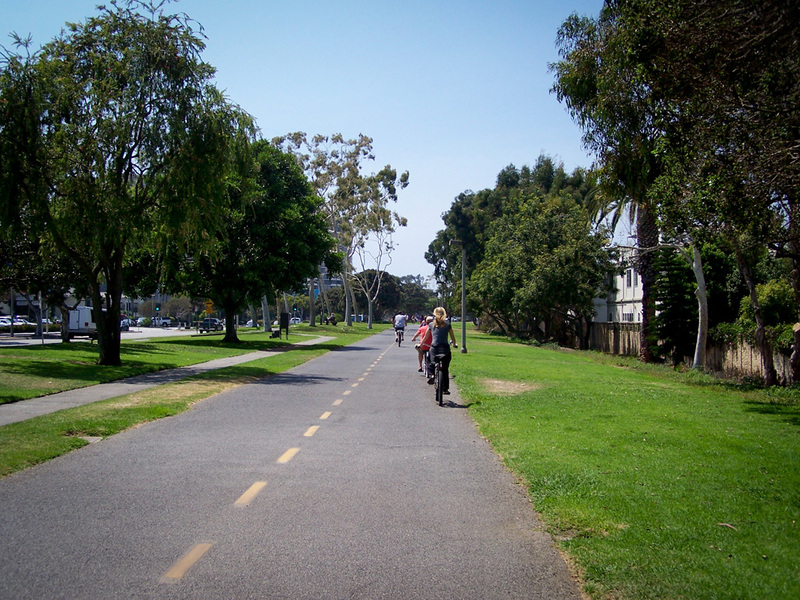 If you’ve still got some puff left you can continue on Fiji Way, turn right onto the Ballona Creek Bike Path and continue along another coastal bike path that goes past LAX, Manhattan Beach, Hermosa Beach and Redondo Beach. Its a 9 mile (15km) voyage but remember you have to do a return leg so its really an 18 mile addition (29km). It was already 1pm so I decided to do a u-turn at Marina Del Rey and head back to Santa Monica. 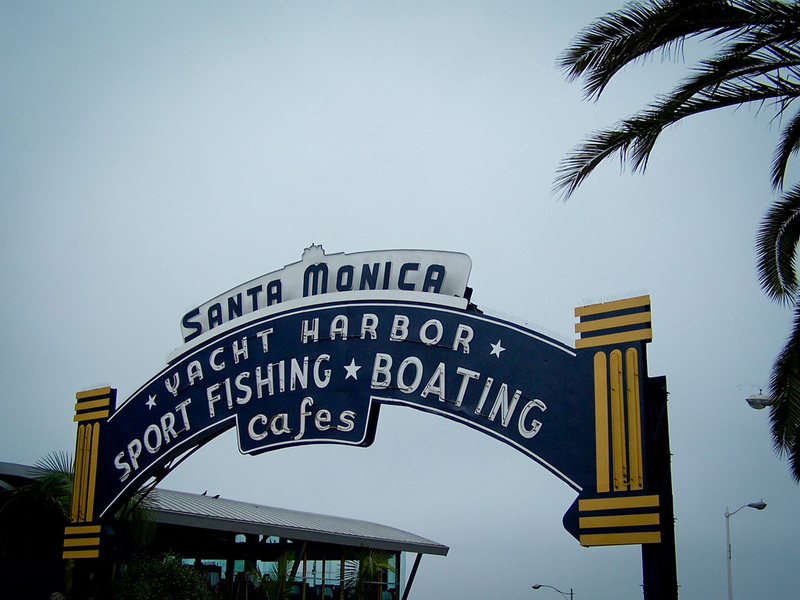 The Ocean Front Walk goes for a further 3 miles north past Santa Monica Pier, past Pacific Palisades Park. After a bit of shopping in Santa Monica I needed to start making tracks back to the hotel which was all the way back in downtown, a good hour bus ride. This is part 2 of a series of Californian Coastal Bike Rides. Part one covers the bike ride: San Francisco – Golden Gate Bridge – Sausalito. Santa Monica Sign Los Angeles. Ocean Front Walkway Venice Beach. 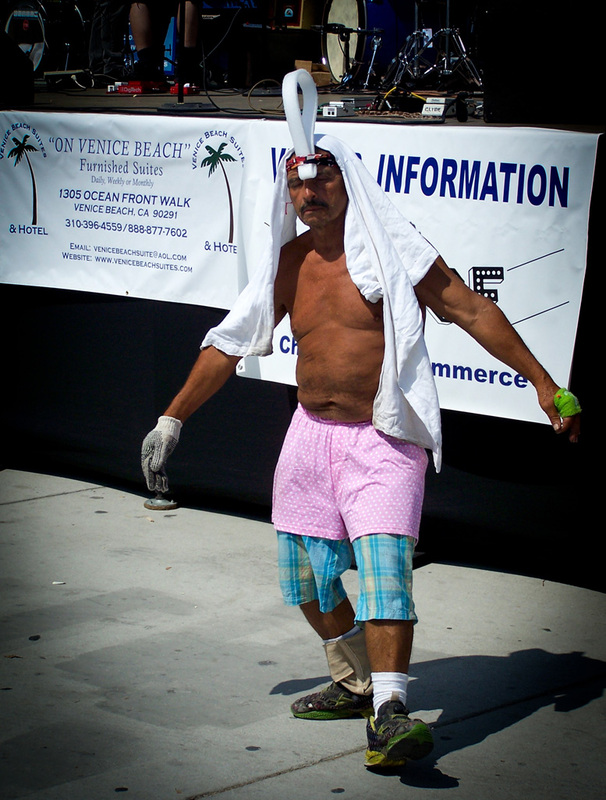 Venice Beach California Street Dancer. Yvonne B Burke Park Los Angeles. 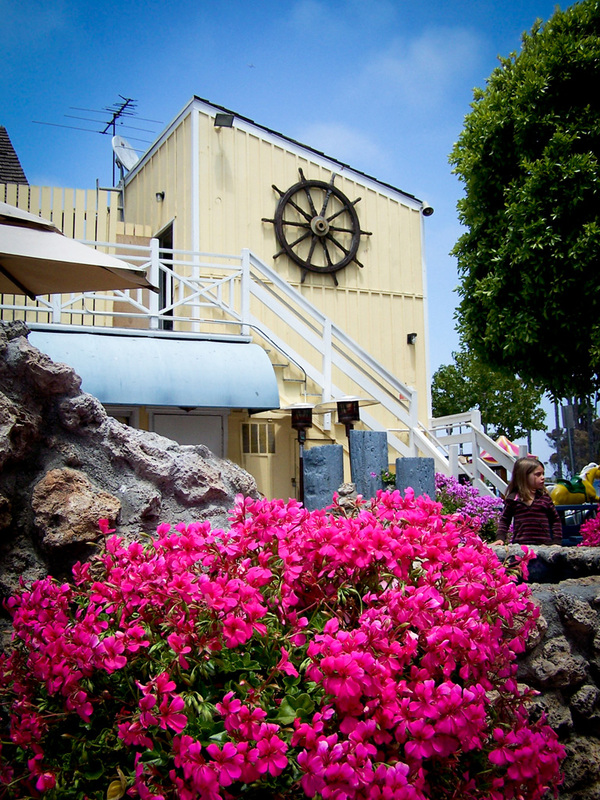 Marina Del Rey Fishermans Village. 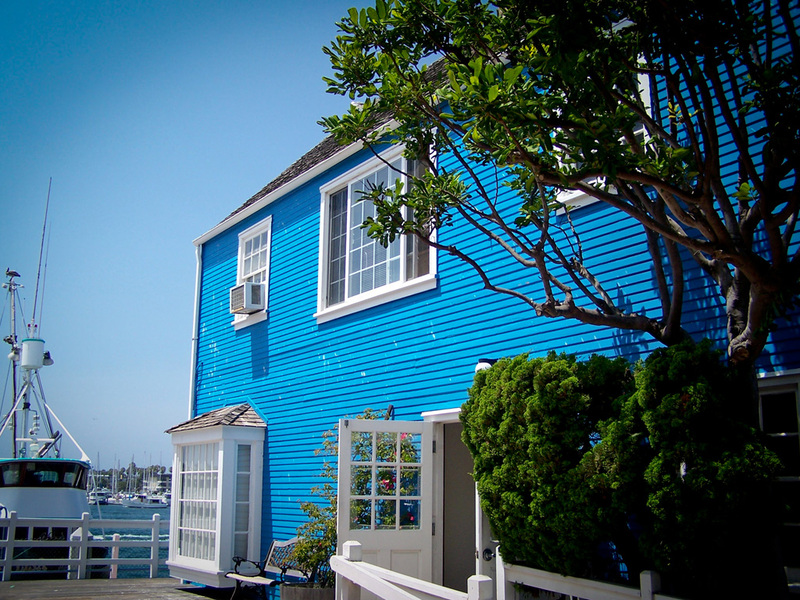 Boat Shed Marina Del Rey Los Angeles. 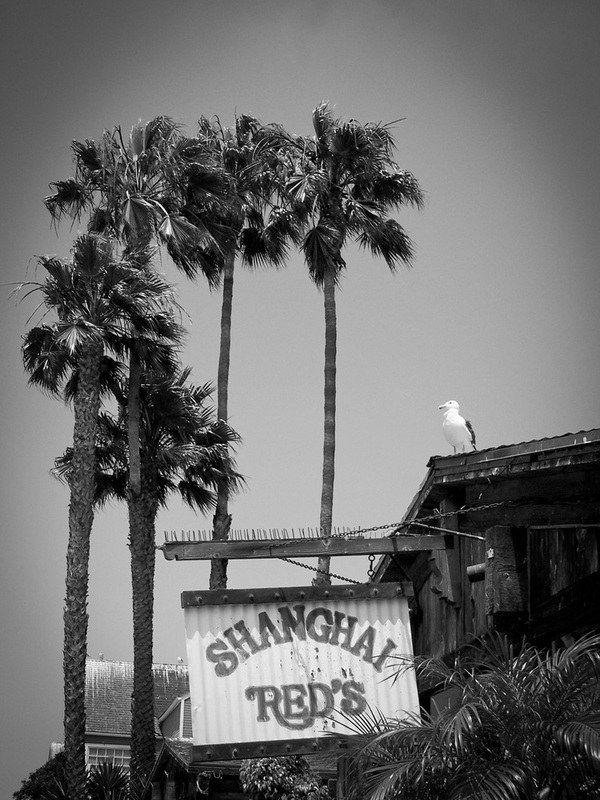 Shanghai Reds Marina Del Rey.